What better way to celebrate the beautiful holiday season than by watching Santa Claus skydive right here at Cocoa Beach! These annual events bring crowds from all over Florida and are quite the events to attend this December. Take a look at each event and see which one sparks your interest! 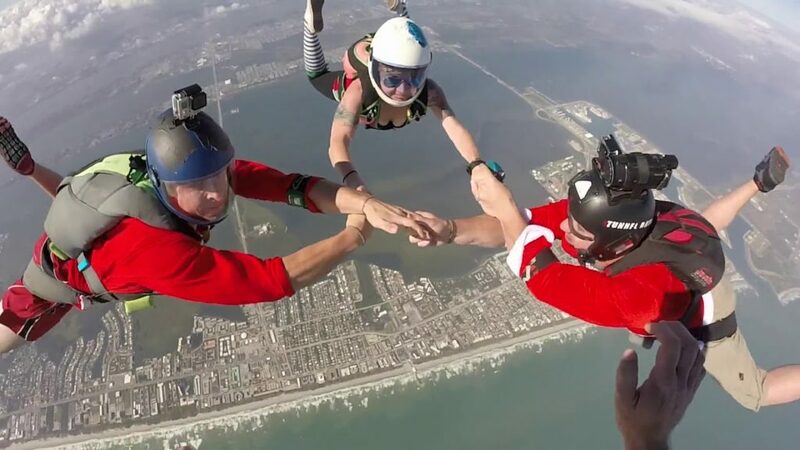 Skydiving Santas is a unique celebration for ALL ages. 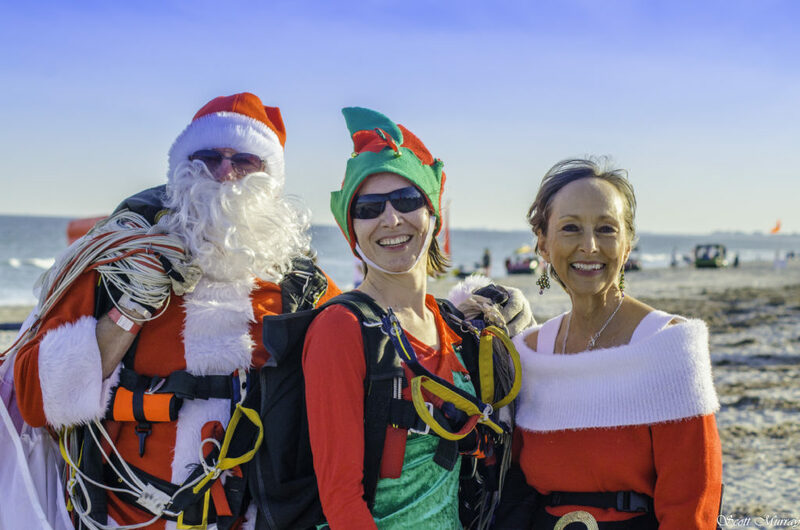 It takes place every year at The Cocoa Beach Pier where hundreds gather to watch several Air Sports Parachute Team members and guests dressed in Santa attire jump out of planes onto holiday inflatables along the shoreline. 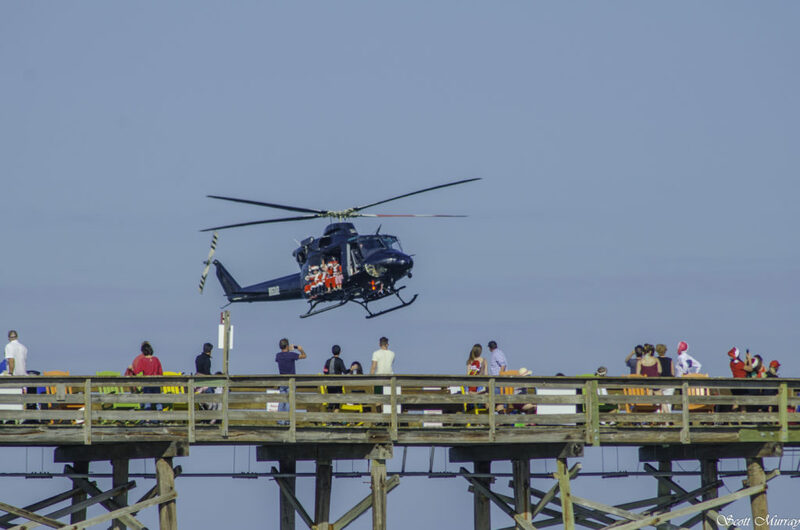 This event is free to the public and will take place on December 15th between 11am & 4pm at the Cocoa Beach Pier. This year, it is hosted by West Gates Resort Cocoa Beach Pier. For those of you that are daredevils, you can participate in this event by jumping! A limited number of event day tandem jumps are available for $1,000. To request to jump, please visit skydivingsantas.com and submit your email. 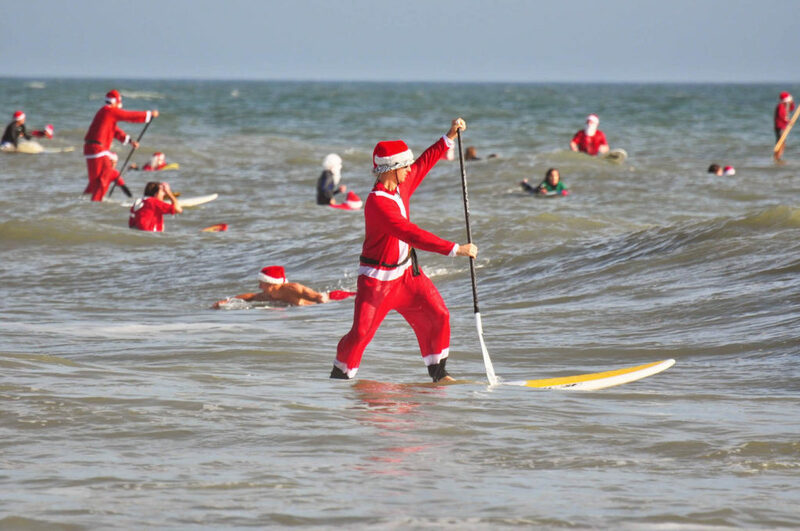 Each year before Santa delivers gifts to the good boys and girls in Cocoa Beach, he makes a pit stop for some surfing in Downtown Cocoa Beach. This year to kick off the event, there will be costume contest! The contest will have five categories: babies (0-3), kids (4-15), group (2 people or more), men (16+), and women (16+). Costume contest starts at 9 a.m. followed by Surfing Santas out at 10 a.m. 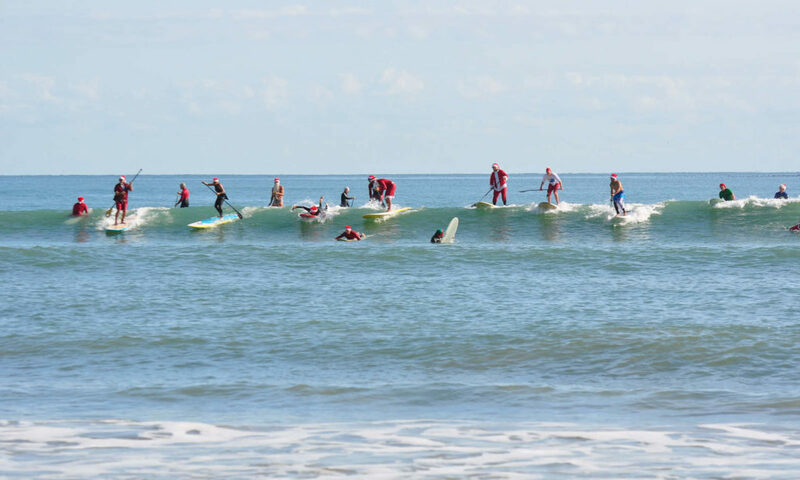 There is no registration required to surf and it will be free to all spectators and surfers. 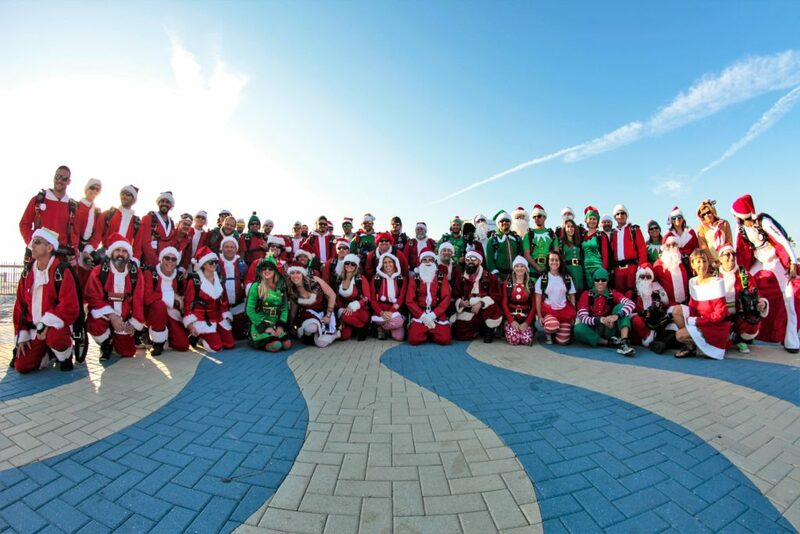 Each year Surfing Santas benefits local charities and in the past it has raised over $60,000! We look forward to kicking off the holiday season with all of you at both of these spectacular events! Happy Holidays! Would it be possible to correct the story above. Two places in the story indicate that Santas will be surfing in to the pier.